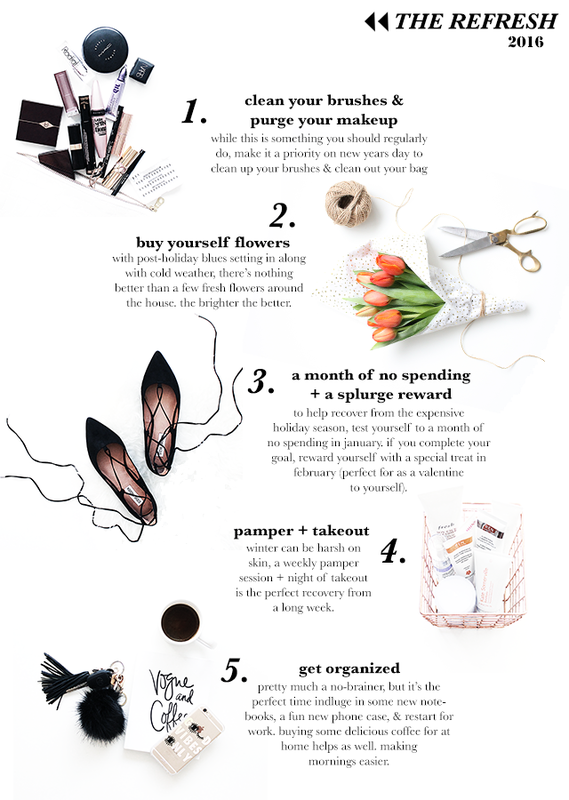 With a new year comes a desire for a fresh start and aside from the standard resolutions - stick to that diet, clean out the house, etc I thought it would be fun to put together a list of ways to refresh and recharge in the New Year. Small, but fun things that can help to make the cold weather blues and the bleak month of January seem a bit more fun. These are some of the things I want to try and implement into my routine/remember to do each week, but I'd also love to hear some of your ideas! What ways to do you like to recharge and restart? Let me know in the comments below! Happy [official] start to 2016!